The UAD-2 Satellite Thunderbolt Octo with Ultimate 7 Bundle gives you a UAD-2 Satellite Thunderbolt Octo Core and a UAD-2 Ultimate 7 Upgrade bundle giving you all the plug-ins developed by Universal Audio. 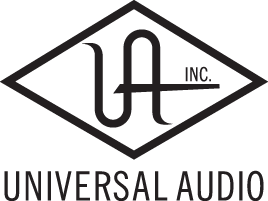 The Universal Audio UAD-2 Satellite Thunderbolt Octo uses eight SHARC DSP processors which combined the increased bandwidth of Thunderbolt technology delivers similar performance as PCIe cards. The UAD-2 Satellite Thunderbolt Octo includes a dual Thunderbolt 2 port allowing the unit to be daisy-chained with up to six Thunderbolt devices. In addition it can be cascaded with other UAD-2 Systems such as UAD-2 PCIe cards, UAD-2 Satellites and Apollo Duo, Quad and 16 Audio interfaces for additional DSP.